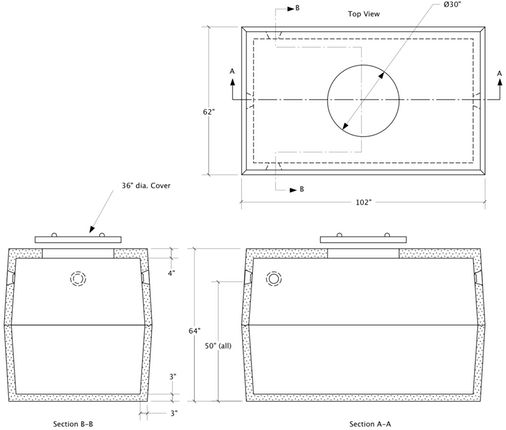 1000 gallon pump chamber | Richard Septic Systems, Inc.
* Weight Top Section: 4300 lbs. * Weight Bottom Section: 4000lbs. Richard Septic Systems, Inc. ©2012 "A Poorsoft Presentation"